The passage of the Patient Protection & Affordable Care Act (PPACA) extends many rights and protections to employees. 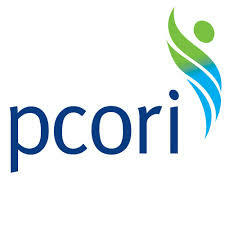 Established by the PPACA, the Patient-Centered Outcomes Research Institute (PCORI) is charged with examining the “relative health outcomes, clinical effectiveness, and appropriateness” of different medical treatments. The Institute will evaluate existing studies and conduct its own, with funding, in part, by employer-paid fees. Initial mandates include a new fee imposed on employers and insurance carriers for seven years, with fee amounts expected to change during that time. Due each July 31st, this fee is now set to affect clients with plan years ending 2012 through 2019 (this time frame may change, of course). For employers who paid the $1.00 per employee PCORI fee last year, this July, the amount due equals the average number of plan participants multiplied by $2.00. For policy and plan years ending after September 30, 2012, and before October 1, 2013, the applicable dollar amount is $1.00. For policy and plan years ending after September 30, 2013, and before October1, 2014, the applicable dollar amount is $2.00. For policy and plan years beginning on or after October 1, 2014, and before October 1, 2019, the applicable dollar amount will be adjusted to reflect inflation in National Health Expenditures, as determined by the Secretary of Health and Human Services. If your HRA (Health Reimbursement Accounts) plan started after July 1, 2013, there will be no fees due this year. The fees must be paid annually using Tax Form 720 (Quarterly Federal Excise Tax Return Form) and generally will be due by July 31 of the calendar year immediately following the last day of the policy or plan year. The final regulations also confirm that third parties cannot report or remit the fees on behalf of plan sponsors. HR Knowledge will work with your HRA vendor and secure the correct number that you will need to enter on IRS Form 720. If you already file this form, you will simply be filling out one more section (Page 2, Part II, IRS No. 133) for your 2nd Quarter return. For the 1st, 3rd and 4th Quarters, leave this section blank. If you currently do not file an IRS Form 720, we will send you one with instructions on filling in this section, or you can download it from the IRS website. If you have any questions regarding the PCORI fees, policy or compliance, please contact HR Knowledge at 508.339.1300 or e-mail Linda Sullivan, Ancillary Benefits Specialist, at Linda@hrknowledge.com.